Would you like to build up your Stampin' Up! stash a bit at a time? Are you interested in earning the exclusive hostess benefits, but don't want to host a demonstration? Are you in the UK? 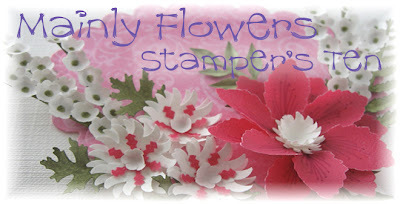 Then joining my Stampers Ten club is the answer for you. For one month during your ten month membership you will take a turn at being the hostess, and receive all the hostess benefits. This will be a minimum of £25 of free product of your choice. Usually my members receive more in the region of £30 - £40. 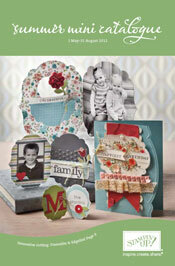 When it is your hostess month, you will receive free shipping on your order. I will subsidise the shipping on your order for the other 9 months of your membership. You will pay only £1.50 for a parcel weighing up to 1kg, and £3.00 for anything over that (limit 9kg). This will save you up to £30 over the course of your membership. You will receive a free gift from me in with your last order of your membership. You will be able to choose this gift from a list that I will provide. I am starting a new club in October 2012 to coincide with the start of the new Annual Catalogue. If you are interested in taking part, or have any questions, please use the contact me tab at the top of the page. 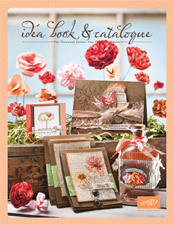 The Stampin' Up Idea Book and Catalogue is full of great ideas for cardmaking, scrapbooking and papercrafting. To view the online version click on the image. To return here use your browser's back button. As long as you are in the UK, you can place an order with me at any time. Just use the contact me tab at the top of my blog. Also contact me if you would like to order a paper copy of the catalogue. Click on the image to view the catalogue online. Content on this blog is my sole responsibility as an independent Stampin' Up! demonstrator and the use of and content of the classes services or products offered on it is not endorsed by Stampin' Up!